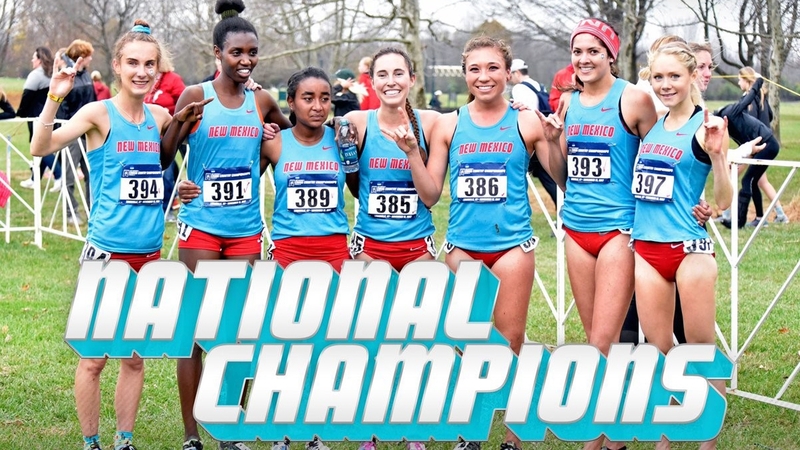 The University of New Mexico women's cross country team celebrates its second national championship in the past three years. The University of New Mexico women's cross country team wins the 2017 NCAA national championship. After Saturday, the University of New Mexico may never want to run another national championship outside of Louisville. 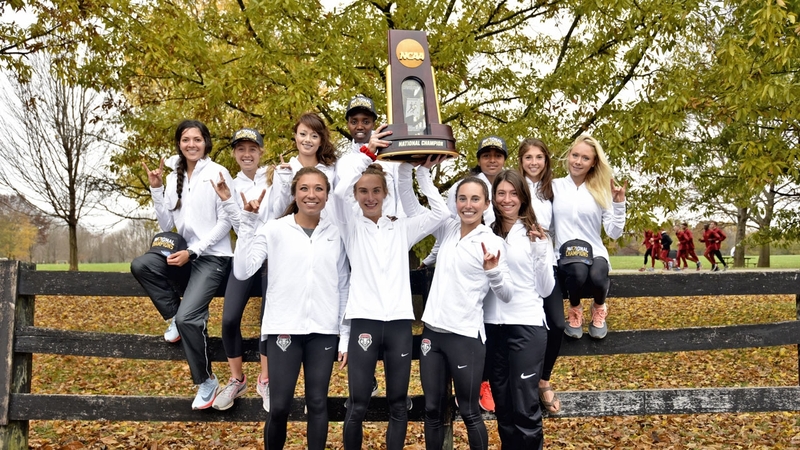 For the second time in the last three years, the Lobo women's cross country team won the national title at the NCAA Division I Cross Country Championships in Louisville, relying on a dominant performance by individual winner Ednah Kurgat for its second team title ever. Behind Kurgat's meet-record victory over the six-kilometer course at E.P. 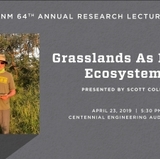 'Tom' Sawyer State Park, the second-ranked UNM women placed four scorers in the top 15 en route to becoming the ninth team in NCAA history to win multiple national titles in women's cross country. "Such a great day," New Mexico head coach Joe Franklin said, who led the Lobos to an NCAA title in 2015. 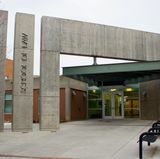 The Lobos' championship is the third NCAA title in University of New Mexico history, joining the their win in 2015 and the New Mexico skiing program's NCAA title in 2004. It's the fifth NCAA women's cross country title in Mountain West history. It was also the team's eighth-straight top-10 performance at the NCAA Championships — the longest active streak in NCAA history — and the team's third top-three showing in the last four years, joining 2014's third-place finish in Terre Haute, Indiana. But, it was a new cast of runners hoisting the championship trophy after the race, led by an undefeated Kurgat. "This win is different than 2015," Franklin said. "This team is a lot different. They've been running well all year." Kurgat continued her remarkable season, capturing the team's first individual title in cross country with a time of 19 minutes, 19.42 seconds. Winning for the fifth time this season in as many tries, Kurgat ran up near the front of the 255-runner field from virtually the start, eventually taking over about two kilometers in. Washington's Amy-Eloise Neale was second in 19:26.93. Kurgat's time is the fastest in championship history since the NCAA moved the race distance up from 5,000 meters in 2000. She also recorded the largest margin of victory, 7.51 seconds, since 2014. "I was so excited," Kurgat said. "I don't take anything for granted. My challenges are behind me. They all act as a stepping stone to where I am today." However, as it's been all season, Kurgat was quickly joined at the finish line by her teammates, with three other Lobos finishing in the top 15. Weini Kelati placed seventh overall with a time of 19:35.77, while Charlotte Prouse took 12th (19:48.93) and Alice Wright finished 14th (19:49.73). All four earned All-American honors (which are given to the top 40 finishers), giving the team 18 All-American plaudits since their streak of top-10 team finishes started in 2010. For Wright, she earned her fourth career All-American nod in cross country, becoming the first female runner in Division I to earn the honor in four straight years since Colorado's Shalaya Kipp (2010-13). Since the current criteria for All-American status was implemented in 2008, Wright is just the fifth female athlete to accomplish the feat. But, facing a field where every second and every place counted, New Mexico's title hopes relied significantly on the performance of its No. 5 runner. Alondra Negrón Texidor didn't let her team down, scoring via her 85th-place time 20:36.67. Close behind were Alex Buck (105th place, time of 20:44.88) and Kieran Casey (123rd, 20:54.21). "I got asked a question the other day who our fifth [runner] would be and I didn't have any idea," Franklin said. "Alondra, Alex and Kieran all ran well." As a team, UNM tallied 90 points, besting No. 3 San Francisco (105 points) and No. 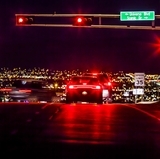 1 Colorado (139) in the low-score-wins format. On the men's side, individual qualifier Josh Kerr finished the men's 10-kilometer race in 32:04.68, placing 224th. Northern Arizona won the men's team title with 74 points, making this championship the first in NCAA cross country history that two non-Power Five schools won the men's and women's team titles.